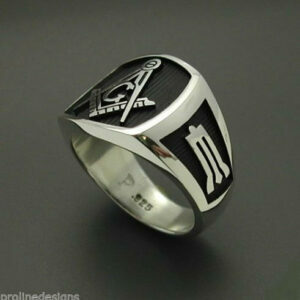 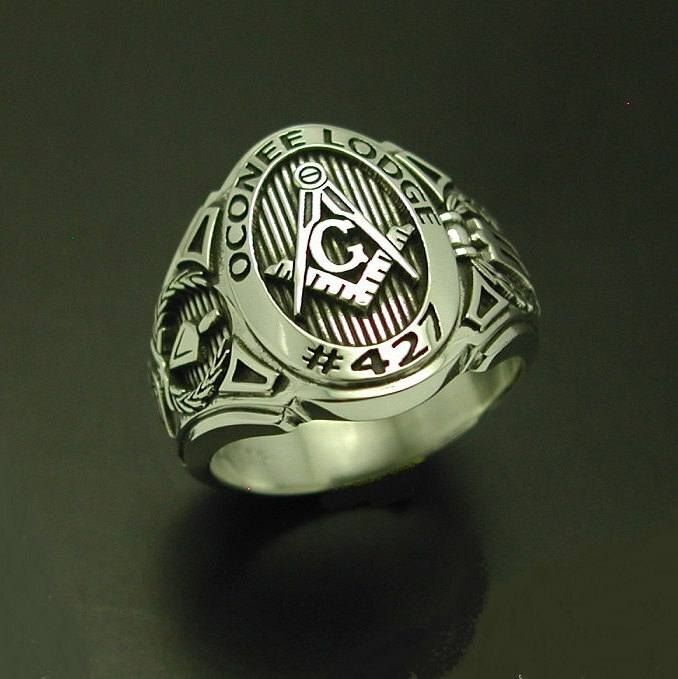 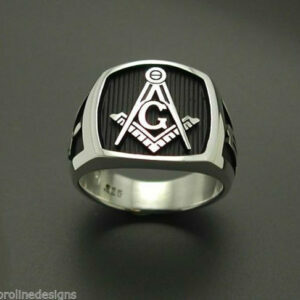 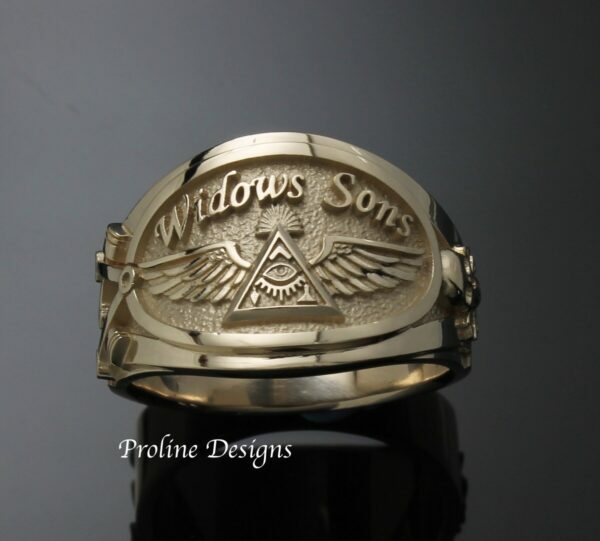 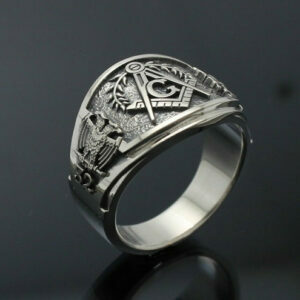 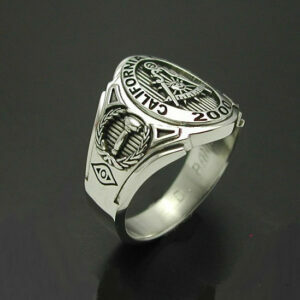 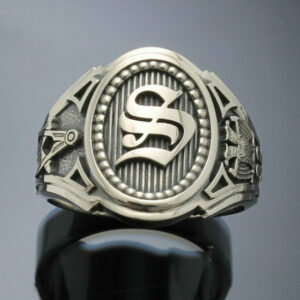 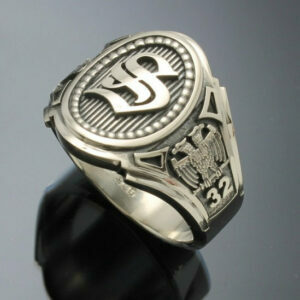 A new addition to our cigar band line, this Widows Sons ring is like nothing you’ve seen before. 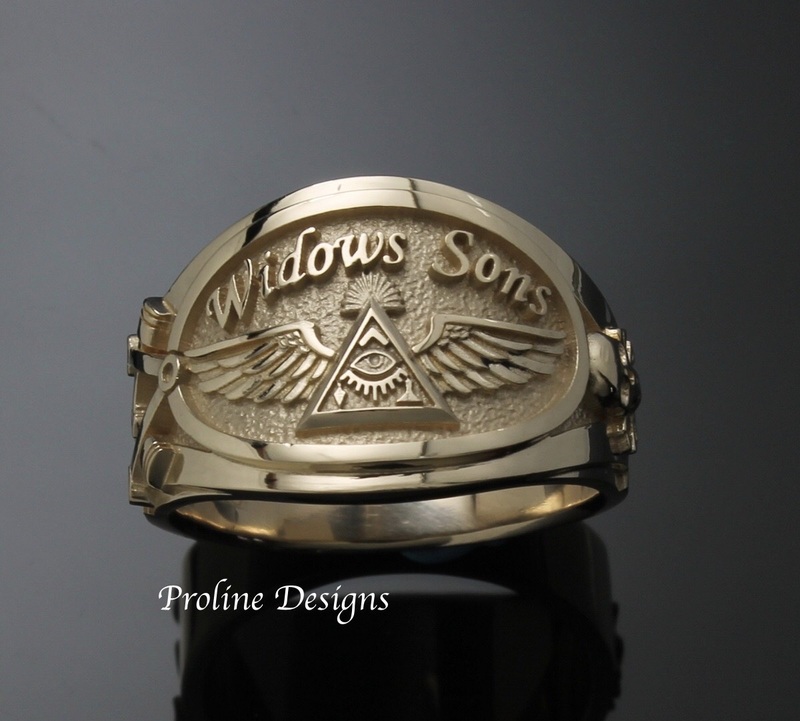 The Widows Sons emblem displays prominently on top with quality and precision unmatched by any other. 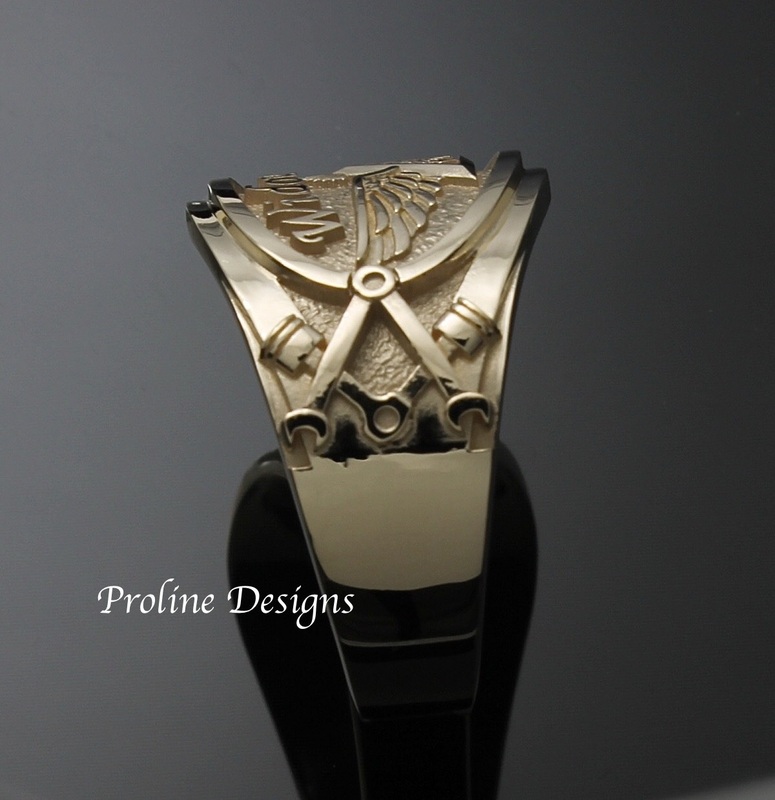 The sandblasted finish highlights the details of the wings and triangle, with the seeing eye surrounded by the masonic tools. 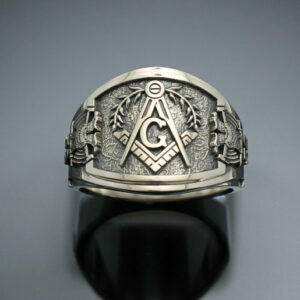 One side has the square and compass made of the wrenches and pistons and the other features the Memento Mori. 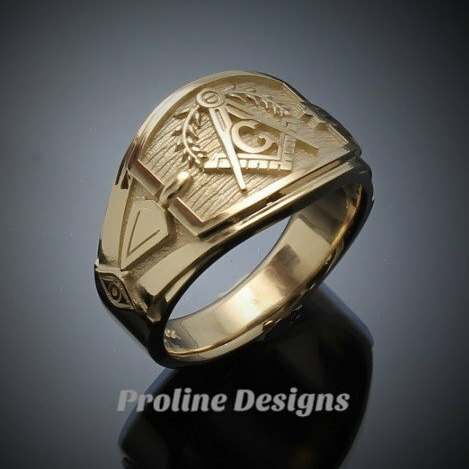 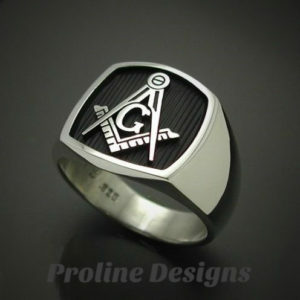 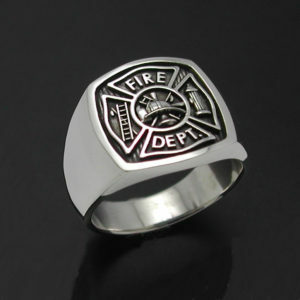 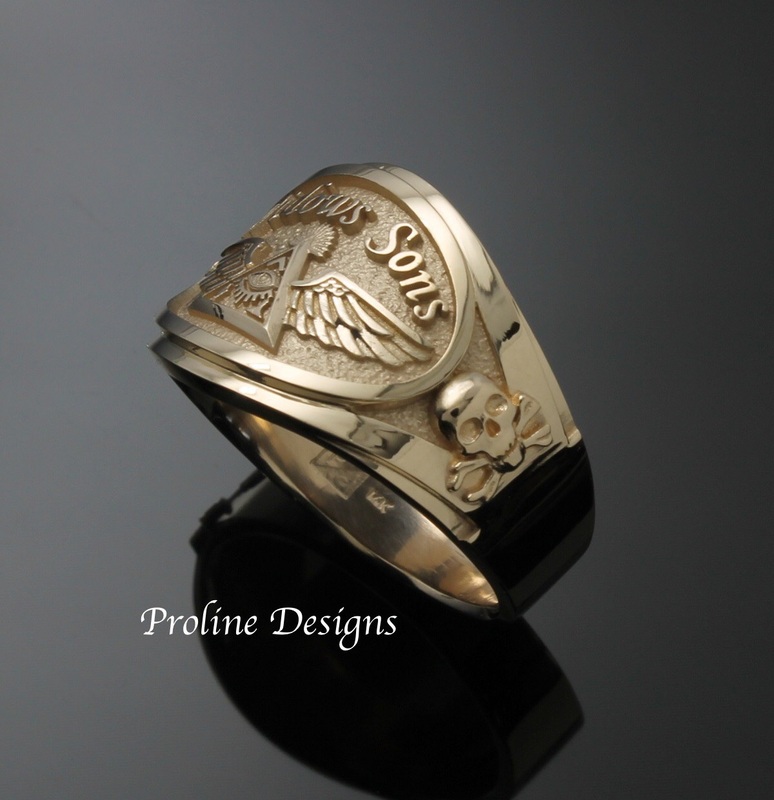 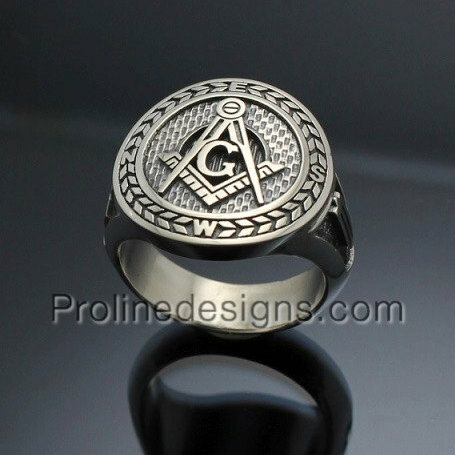 As with other Proline Designs rings, the Widows Sons ring comes in a low profile and comfortable fit that is sure to please. 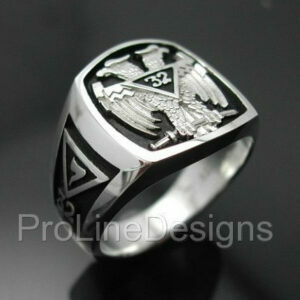 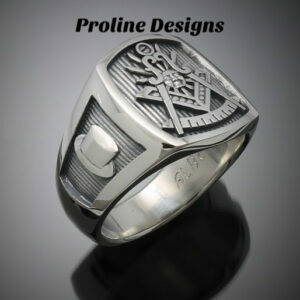 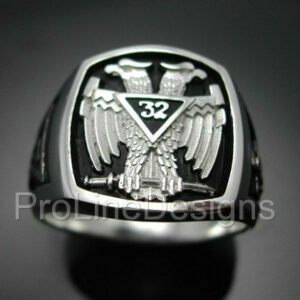 All Proline creations are custom designed, hand cast with solid sterling silver or gold and individually polished. 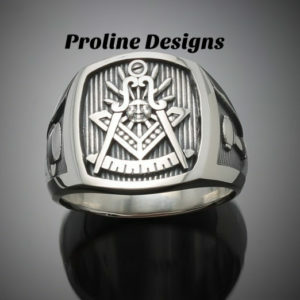 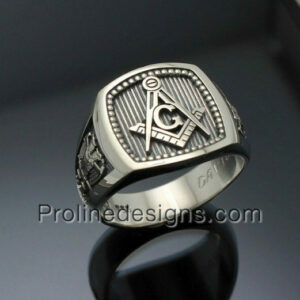 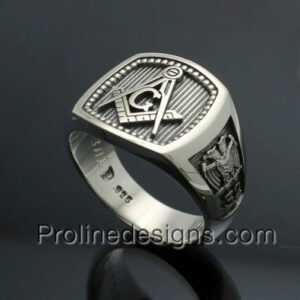 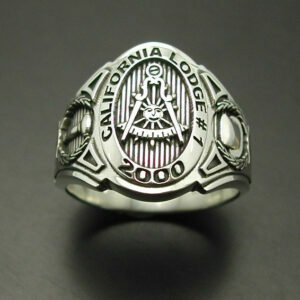 * Sandblasted background to enhance masonic symbols.